Edges & Sledges is a weekly cricket podcast focussing on Indian cricket and the IPL. Conceived by the 1tip1hand blog team, the three podcast hosts are ordinary Indian cricket fans based in Singapore, London and Cincinnati. Edges & Sledges is where they come together to talk about the week’s biggest cricketing stories. 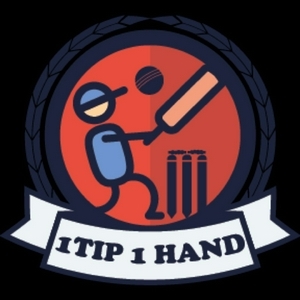 Do get in touch with comments and queries on contact@1tip1hand.com or on Twitter @1tip1hand. Ep. 51 IPL 2019 special: It’s coming up to toss time! Ep. 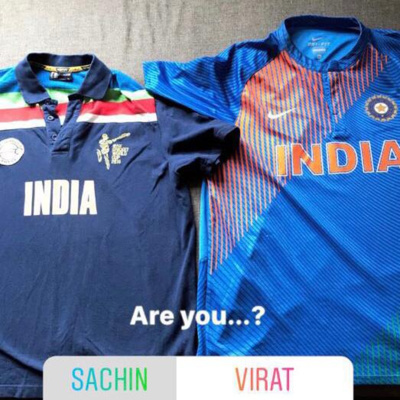 41: Sachin or Virat? Ep. 39: Australia v India: India win Boxing Day Test to retain the Border Gavaskar Trophy! Ep. 37: Australia v India tests: India win Adelaide thriller! Ep. 36: Australia v India tests, Sachin goes to a rave and the Shaw must go on. Ep. 35: Ind-Aus T20s, Pitiful Pant, Regrettable Rahul, the Krunal Conundrum and Women's World T20s! Ep. 30: Collaborations with Reverse Swept Radio & Down The Ground - Cricket Podcasts! Ep. 28: The Asia Cup heats up! Ep. 27: Ind-Eng Lessons Learned, Asia Cup, Moeen Ali & More! Special Episode Alert! We join forces this week with the Cricket Badger Podcast (https://audioboom.com/channels/4924381) to look back at a wonderful Test series between England and India. DJ from Edges & Sledges joins James to review the summer, pick out some stars of the series and look ahead to each teams' winter ahead. We chat Alastair Cook, Jimmy Anderson, captaincy woes, the path forward for both teams, and much more. More collaborations with other great cricket podcasts in the future! Congratulations! We've made it through to 25 episodes of Edges and Sledges (and so have you). In this episode, we cover: - Did India get team selection right at Southampton? - Was Ravichandran Ashwin fit? Does he miss Jadeja? - Did India lose at Southampton because of Virat Kohli’s captaincy? - Why is India not getting over the line in crucial run chases? - Are we too dependent on Virat Kohli? - What do we do with Hardik Pandya? - Is Rishab Pant a long term wicket keeping option? - What are the positives can we take from this series? - What is the team going into the Oval test? Does Vihari get a shot or do we bring in youngster Prithvi Shaw? - Whether commentary been irreparably damaged by Sanju Manju and Bhajji? With Cook's impending retirement after the Oval test match against India, we also have an Alistair Cook quiz. Ep. 24: India vs. England Tests Continue! Today we cover: - India vs. England: Third Test Debrief - India vs. England: Fourth Test (Southampton) Preview - England's Selection woes - India's interesting selection choices - Our "Quiz" segment ... and lots more! Ep. 23: Special: India vs. England Day 1 - As It Happened! We bring you a very special, unique, unfiltered podcast episode! Varun and DJ are LIVE at the Trent Bridge stadium in Nottingham where India faces England for the 3rd Test Match. On Day 1, we recorded 3 segments on Facebook Live (facebook.com/1tip1hand) - at Lunch, at Tea, and at the end of the day. We combined those 3 conversations into one special podcast episode! Experience the 1st day of the Nottingham test with us just as we enjoyed it, in real-time, unfiltered, as it happened. Edges & Sledges Episode 22: India's Fiasco at Lord's! Today we cover: - India vs. England: First Test Wrap Up - India vs. England: Second Test (Lords) Preview - Stokes, Woakes & Selection Woes - Ben Stokes' Trial - Our "Quiz" segment Continued ... and lots more! Today we cover: - India vs. England: First Test Wrap Up - India vs. England: Second Test (Lords) Preview - Ben Stokes' Trial ... and lots more! Ep. 20: England v India Tests, Adil Rashid & Ganguly's Book! Today we cover: - India vs. England: Essex Warm-Up Match - India vs. England: Test Series Preview - What is going on with the ECB and Adil Rashid - Sourav Ganguly's new book: A Century is not enough ... and lots more! Today we cover: - India vs. England: ODI Series Wrap Up - India vs. England: Test Series Preview - India's Middle Order, MS Dhoni & Rahane - Week 4 of our "Quiz" segment! ... and lots more! Ep. 18: More India vs. England Mania! Ep. 17: Ind-Eng T20s, GT20 Canada, Quiz Week 2! In this episode we dive deep into the India-England series! Today we cover: - India vs. England: T20s Wrap Up - India vs. England: ODI Previews - The Canada GT20 - Week 2 of our new "Quiz" segment! Edges & Sledges Episode 15: In this episode we run down a busy week in the world of international cricket! Today we cover: - India vs. Afghanistan, the test match - England vs. Australia - Records being broken in the women's game - What is the "new normal" ODI pitch? .. and lots more Our apologies for some technical difficulties this week - we will try to improve the audio quality before next week! In Episode 14, we recover from our week off after the IPL, and cover: 1. England vs. Pakistan 2-Test Series 2. Afghanistan vs. Bangladesh 3 T20I Series 3. Famous Cricketing Father-Son Duos Don't forget to send us your comments and questions via Twitter @1tip1hand or at our Facebook Page, facebook.com/1tip1hand! Ep. 13: IPL Final Week, Bakwaskar Awards! In Episode 13, we cover: 1. Vivo IPL 2018 Knock outs and lead-up to the final 2. Bakwaskar Awards! To honor the worst performances of the season. Including: - FBB Ugly Player of the Match - Star Plus Purani Soch Award - Vivo Imperfect Catch of the Match - Yes Bank Minimums .. and lots more! In Episode 12, we cover: 1. IPL Week 6 Debrief - Last Group Games 2. IPL Qualification Scenarios 3. Royal Challengers Bangalore Review (with special guest) 4. Our new Segment: "Edged, Sledged, or Touch & Go"? 5. Do we miss Super Overs? 6. IPL Fantasy Cricket Tips for eliminator week We continue our series of guest appearances from fans of each IPL Team. Week 7: Royal Challengers Bangalore fan Shishir Kulahalli! In Episode 11, we cover: 1. IPL Week 5 Debrief 2. IPL Qualification Scenarios 3. Mumbai Indians Review (with special guest) 4. Our new Segment: "Edged, Sledged, or Touch & Go"? 5. How many sponsored awards is too many sponsored awards? 6. IPL Fantasy Cricket Tips for the final week We continue our series of guest appearances from fans of each IPL Team. Week 6: Mumbai Indians fan Gauravi Shah! In Episode 10, we cover: 1. IPL 2018 Week 4 - Debrief 2. What went wrong with the Delhi Daredevils? 3. Our new Segment: "Edged, Sledged, or Touch & Go"? 4. IPL 2018 - Fantasy Cricket Tips! We continue our series of guest appearances from fans of each IPL Team. Week 5: Delhi Daredevils fan Ritwick Ghosh! Episode 9: Edges & Sledges - A LIVE Cricket Chat with the team behind 1tip1hand.com! This week we focus on: 1. IPL 2018 Week 3 - Debrief 2. How important is captaincy in T20 Cricket? 3. A NEW Segment: "Edged, Sledged, or Touch & Go"? 4. IPL 2018 - Fantasy Cricket Tips! We continue our series of guest appearances from fans of each IPL Team. Week 4: Sunrisers Hyderabad fan Yogi Chillarige! Episode 8: Edges & Sledges - A LIVE Cricket Chat with the team behind 1tip1hand.com! This week we focus on: 1. IPL 2018 Week 2 - Debrief on week 2 2. T20 Cricket - A Young Man's Game or does experience matter? 3. IPL 2018 - Fantasy Cricket Tips! We continue our series of guest appearances from fans of each IPL Team. Week 3: Rajasthan Royals fan Siddharth Poddar! Episode 7: Edges & Sledges - A LIVE Cricket Chat with the team behind 1tip1hand.com! This week we focus on: 1. IPL 2018 Week 1 - Debrief on the first 11 matches 2. IPL 2018 - A look ahead at the coming weeks and what to pay attention to 3. IPL 2018 - Fantasy Cricket Tips! We continue our series of guest appearances from fans of each IPL Team. Week 2: KXIP fan Rohan Narula! Episode 6: Edges & Sledges - A LIVE Cricket Chat with the team behind 1tip1hand.com! This week we focus on: 1. IPL 2018 Opening Weekend - Debrief on the first 2 matches (CSKvMI and DDvKXIP) 2. IPL 2018 - A look ahead at the coming week We begin a series of guest appearances from fans of each IPL Team. Week 1: CSK Fan Vishnu Mohan! In Episode 5, we cover: 1. Ball Tampering by Australia - the conclusion 2. IPL PREVIEW! IPL 2018 Kicks off April 7th Edges & Sledges is a weekly cricket podcast with a round-up of happenings from the world of cricket, focused on Indian Cricket and the IPL. Broadcast live on Facebook once a week (facebook.com/1tip1hand)! In Episode 4, we cover: 1. #SandPaperGate 2. The Dinesh Karthik last ball six 3. World Cup 2019 Qualifiers Edges & Sledges is a weekly cricket podcast with a round-up of happenings from the world of cricket, focused on Indian Cricket and the IPL. Broadcast live on Facebook once a week (facebook.com/1tip1hand)! In Episode 3, we cover: 1. #IndvBan Final preview 2. #SAvAus and the Rabada saga 3. Our newest leg spin sensation - Ravi Ashwin 4. Kevin Pietersen & his retirement 5. India’s first day/night test match Edges & Sledges is a weekly cricket podcast with a round-up of happenings from the world of cricket, focused on Indian Cricket and the IPL. Broadcast live on Facebook once a week (facebook.com/1tip1hand)! A weekly cricket podcast with a round-up of happenings from the world of cricket, focused on Indian Cricket and the IPL. Broadcast live on Facebook once a week (facebook.com/1tip1hand)! In Episode 2, we cover: - Nidahas T20 Series: Progress at the halfway point - BCCI Contract Renewals - Warner vs. De Kock: Sledging, where is the line? - IPL 2018: 4-week Countdown begins! The very first episode of Edges & Sledges! A live cricket chat! A weekly cricket podcast with a round-up of happenings from the world of cricket, focused on Indian Cricket and the IPL. Broadcasted live on Facebook once a week (facebook.com/1tip1hand)!